Nowadays, there is the growing popularity of commercial and recreation use of the drones which are the new threat to the airline safety. In Fall 2016, USC MCL, Inha University, Korean Air and Pratt & Whitney Institute for Collaborative Engineering (PWICE) started a joint research project to build a drone monitoring system to improve the airport security. 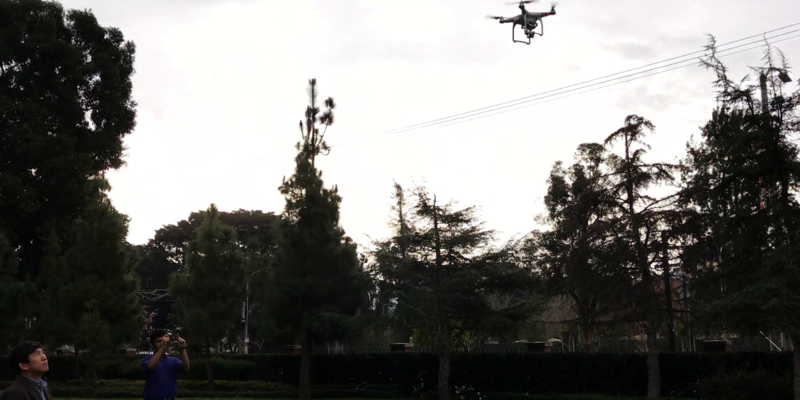 USC MCL is held responsible for providing autonomous imaging-based drone monitoring system. One of MCL members, Yueru Chen, is working on this project. On Thursday, February 9th, 2017, an midterm discussion of current projects was held between UTC Pratt-Whitney, Korean Airlines, USC, and Inha University. For the drone monitoring project, in attendance were Media Communications Lab’s Dr. Jay Kuo, Dr. Jongmoo Choi, Master’s student Pranav Aggarwal and Ph.D. student Yueru Chen, who presented their ongoing work on imaging-based drone monitoring system. USC MCL has developed comprehensive approaches including two modules, detection and tracking, with the use the deep learning methods. The proposed system was designed to detect illegal drones’ position and track their movement. During the meeting, USC MCL showed the promising results and discussed the future plan.